(CNS): While government pursues the goal to have inward investment as the source of future new revenue for governmentcoffers rather than taxes, the UK is continuing to push for some form of direct taxation in Cayman’s next budget. 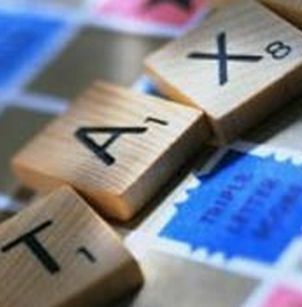 Although the premier has cited the possibility of both payroll and VAT, a government spokesperson told CNS on Friday that no decision had been made on any form of direct taxation. Meanwhile, in the wake of the Miller/Shaw report, the Revenue Measures Subcommittee of the National Investment Council has submitted its report to government, which also found taxes would be far more harmful than helpful in Cayman. Although Bush has said that he preferred the idea of a 5% VAT earlier last week, on Friday he said it was probably the most problematic and was still considering a payroll tax or a community service fee. 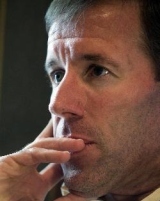 In the end, the premier said, it would be the one which was the easiest to be administered that would be the one government was most likely to introduce if the CIG was forced to implement direct taxation. The Investment Council also met with industry stakeholders last week in order to solicit further feedback from the business community about possible investment projects, new revenue streams and viable avenues for sustainable economic growth that could stave off the need for taxes. Bush said at the meeting that government had to find new sources of business to diversify the economy and improve the government’s revenue base. “The National Investment Council is uniquely positioned to bring together input and recommendations from a variety of key organizations, boards, committees and individuals to create a holistic blueprint for economic recovery and growth,” the premier added. The Revenue Measures Subcommittee has found that taxation would be bad news for Cayman and more harmful than helpful. The sub-committee suggested that cost-savings measures could be considered equal to revenue raising measures. Peguero who also chairs the subcommittee said the members are working hard with all the government offices to stream line the process for projects and investment and find ways to improve Cayman’s future fortunes but that any form of direct taxation could be detrimental to the future economy. The NIC report submitted to government last week recommends cost savings, divestment and sale of assets and land as well as gaming licences and watercraft licence fees but not taxation. The report suggested that indigent Caymanians receiving government health care should be relocated to qualified healthcare facilities reducing costs. It also recommends that government seize assets from companies struck off the company register for 10 years or more. The NIC was created as one of government’s first steps in the goal to develop a long-term strategy to create investment opportunities. The council consists of members from the private and public sector and it reports to a special Cabinet Committee, chaired by Bush with five elected representatives. The members of the NIC are William Peguero, Michael Ryan, Jim O’Neal, Burns Connolly, James Bergstrom and Marcus Cumber. The first order of business for the NIC was to evaluate options for economic diversification, and according to the Terms of Reference, the development of new industries and new opportunities must allow Caymanian entrepreneurs to thrive. With the government faced with a deficit for 2009/2010 and still in need of borrowing approval from the UK, any new long term investment opportunities may now be too late to save Cayman from direct taxation. (CNS): Local police are offering a window of opportunity for people in the Cayman Islands to bring in their illegally held guns without fear of prosecution for one month. Starting on 10 May and continuing until Thursday 10 June residents have chance to hand in unlicensed, unwanted and illegal guns or ammunition to George Town, West Bay, Bodden Town and Cayman Brac police stations. They can also call for police to collect weapons or reveal the whereabouts of hidden guns without revealing their identity. The campaign was announced by the commissioner with support from Dorlisa Ebanks (left), the mother of 4 year-old gun victim Jeremiah Barnes. Police are hoping that those who know where weapons are will hand them in and save lives. Unveiling the campaign poster, which calls for people to help cut gun crime in Cayman, as well as reminding them of the ten-year prison sentence for possession of unlicensed firearms, Police Commissioner David Baines said it was about making the community safer. He pointed out too that ten years is a long time away from friends and family and by handing in weapons people in the community who knew where guns were hidden could save a loved one from a long prison sentence or more importantly save their lives. He admitted, however, that there was still work to do to stop guns falling into the hands of criminals and take the lethal weapons off the streets. “This is your chance to help us do that. This is our chance to work together and help cut gun crime in Cayman. We need to stop the destruction of communities, families and of innocent lives – lives like little Jeremiah Barnes." Appealing for people to back the campaign and play their part in making Cayman’s streets safer, Dorlisa Ebanks said she commended the initiative, and while there was no going back for her baby, she asked the community to play its part and try to prevent another family from going through the same tragedy that hers was now living. Superintendent Marlon Bodden. who was also part of the campaign launch, pointed out that reducing the number of guns on the streets limits the access of criminals. He warned that once the amnesty was over those who did not take advantage of the opportunity would find that the police would be carrying out major proactive operations after the amnesty to crack down on gun possession. Bodden said police would be working harder than ever to ensure investigations would be airtight and those illegally possessing firearms would face a ten year sentences. Given that ten people have been the victim of fatal shootings in the last 18 months, Bodden said now was the right time to offer an amnesty before the crack down begins. The police also confirmed that while the identity of those bringing the guns would be protected the weapons themselves would still be investigated for any connection to crime. Bodden explained it was not a blanket amnesty on crime but individuals who were not involved in shooting anyone but had access to illegal guns could feel secure that they could bring the weapons in anonymously with no questions asked. Police said that the last amnesty produced around twenty illegal weapons and they hoped to get a significant number of the streets again. This amnesty is being run and managed by the RCIPS and is not in conjunction with Rotary as on past occasions. There are no financial incentives just the removal of a threat of prosecution for unlawful possession but those that bring the guns to the police station’s secure boxes. Bodden also told people to take great care with any weapons they were bringing to stations. The senior police officers said that while they hoped this presented an opportunity for the friend and family of gang memebrs to turn in guns, it was also aimed at families or individuals who may have once had licenses that have elapsed but still have the weapons to bring them in without fear of getting in to trouble. At the campaign launch, police revealed just some of the weapons that have been seized in Cayman as part of various investigations and discoveries. The weapons ranged from tiny hand guns to automatic pistols. Baines said that all of the firearms, despite their size, could be fatal. The commissioner also said he wanted to see people bring in fake guns as well, which may not kill people, but help in the execution of crime, and can still create real fear in those facing an imitation weapon — many of which are impossible to distinguish. Anyone who wishes to take part in the amnesty should take their guns and ammunition along to the nominated police stations. The guns and ammunition should be deposited in the secure lock boxes at these locations. You do not have to give your name or any other personal details to police. The amnesty will operate 7 days a week from 7.00 am. until 7.00 pm. Anyone with information about gun crime, or who knows of anyone who has unlicensed or illegal weapons is asked to call their local police station, the RCIPS confidential tipline 949-7777 or Crime Stoppers on 800-8477 (TIPS). (BBC): A German man has unofficially married his cat after the animal fell ill and vets told him it might not live much longer, Bild newspaper reports. It says Uwe Mitzscherlich, 39, paid an actress 300 euros (£260,$395) to officiate at the ceremony, as marrying an animal is illegal in Germany. Mr Mitzscherlich said he had wanted to tie the knot before his asthmatic cat Cecilia died. The cat and groom have lived together for 10 years. "Cecilia is such a trusting creature. We cuddle all the time and she has always slept in my bed," Mr Mitzscherlich, a postman from the eastern town of Possendorf, told Bild. (Reuters): The U.S. government expects to probe thousands more cases of wealthy individuals dodging taxes through offshore bank accounts, on top of the high profile case against UBS AG, a U.S. tax attorney said on Monday. "We expect over the next couple of years, in addition to the UBS cases, to have somewhere between 4,000 and 7,000 more cases coming to us with. These are from banks and governments cooperating," said Kevin Downing, a senior tax attorney of the U.S. Department of Justice, in a lecture in Singapore. (CNS): As obesity rates in schools rise the government has launched a public health campaign this month to get kids drinking more water and eating more fruit. The Public Health Department hopes to inspire school children to get healthier and staff will visit primary schools in all three islands during Child Month to host health talks focused on the nutritional and health benefits of natural foods, as well as distribute fruit and water snack packs. “The health of any nation depends largely on the health of its children. We hope that this initiative will encourage our students to make smart food choices from a very young age to help them grow into healthy adults,” explained School Health Coordinator Joanna Rose Wright. “With local school health screenings showing such high percentages of childhood obesity (37.6% of children 10-14 years of age being overweight and obese, and 27.2% aged 4-6 years being overweight and obese), it is imperative that we pursue these kinds of school-based health initiatives,” she added. The department will also use the opportunity to collect basic statistics on local school children’s food and beverage consumption. “At this point we have anecdotal evidence that our children don’t eat sufficient fruit and vegetables, neither do they drink enough water. A proper survey will give us clear and accurate data to determine where we stand,” said Community Dietician Bethany Smith. School visits are so far scheduled for April 28 (North Side Primary), 11 May (East End Primary) and 17 May (Bodden Town Primary). The schedule for the remaining schools will be announced. “We thank Jacques Scott, Generali Worldwide and Foster’s Food Fair for their contributions to the fruit and water initiative. Without them, it would have been impossible,” Health Promotion Officer Therese Prehay said. As part of its Child Month celebration, the department will also step up its immunisation efforts for school-aged children by conducting special immunisation clinics during May. Starting on the 4 May (Tuesday) parents can take advantage of the special clinics every Tuesday and Thursday, from 3-6 p.m. at the Public Health Department, Cayman Islands Hospital. For further information, please contact School Health Coordinator Joanna Rose Wright at 244-2734 or Ms. Prehay at 244-2632. (CNS): The work of the Immigration Department is being held up by incomplete applications and the CEO is asking employers to comply with the law when applying for permits. Chief Immigration Officer Linda Evans said that inadequate applications are slowing the process down and warned that boards may refuse applications that are not in compliance. She also added that some employers are not advertising vacancies properly as they are legally obliged to do. Evans reminded them that they need to place ads for the permit application posts in at least two issues of a local newspaper for two consecutive weeks. 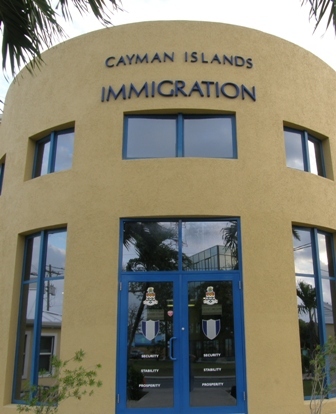 With staff members processing hundreds of applications each week, she said the department is asking for more cooperation from employers and business people in the Cayman Islands. Problem areas relate to a range of permits, the immigration boss said, particularly the regular grants and renewals. The department issued reminders that applications must be complete and accompanied by all required support documents. Certification proof must be submitted with applications for employees in the medical, legal, educational, plumbing, electrical and security services fields (or other professions which, by law, require licensing). Renewal applications submitted outside of the normal timeframe for processing will not be rushed as this would be unfair to applications that were submitted on time. Renewal applications submitted after the allocated time will result in employees being unable to continue working; they may also be required to leave the Islands until decisions are made. Evans explained that the advertisement process for work permit applications is another cause for concern. If applying for long term permits, employers are legally obliged to advertise vacancies in at least two issues of a local newspaper for two consecutive weeks – unless they have been exempted from so doing by the Governor-in-Cabinet or by the Immigration Board. Copies of the advertisements must accompany work permit applications and employers must provide details of all responses to those advertisements. The qualifications of all responders must be included, together with the reasons why Caymanians or legal residents were not selected. Every advertisement must contain a full and accurate job description for the vacancy; a salary range, and all other benefits attached to the advertised post; a full and accurate description of the qualifications the prospective employer considers necessary to do the job – and therationale for requiring such qualifications. The department also noted that employers in the financial services are operating under new directives relating to work permit applications. These were recently issued by Cabinet and allow the Work Permit Board or the CIO to issue three-year permits for all workers who are not listed in a Business Staffing Plan. The directives encourage the grant of three- to five-year work permits for domestic helpers, doctors, nurses, teachers and ministers of religion. They also encourage the Business Staffing Plan Board and the CIO to issue three- to five-year work permits for workers in a Business Staffing Plan Certificate. Unless specifically requested on application forms, the Boards or the Chief Immigration Officer are not authorised to independently issue permits for extended periods. (CNS): According to reports in the Jamaican Gleaner this weekend, Air Jamaica maybe considering reintroducing its Kingston to Grand Cayman and Kingston to Nassau routes. Chairman of Caribbean Airlines, Arthur Lok Jack, told journalists that during the transition period Air Jamaica would be flying eight routes to the United States and Canada as well as the Cayman Islands and the Bahamas. However, Air Jamaica chief executive officer Bruce Nobles told another reporter that it would be premature to say the local carrier will be returning to Cayman in the foreseeable future. The Gleaner reports that Nobles said Air Jamaica would continue to fly on its existing routes but would be reviewing the possibility of adding other destinations. 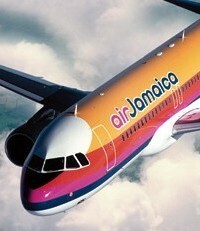 Effective 1 May, Caribbean Airlines has taken over full financial responsibility for the Air Jamaica operations. The government of Trinidad and Tobago has provided US$50 million to fully capitalise the transition arrangements. The government of Jamaica is providing US$19 million to cover the pre-purchase of Air Jamaica tickets by passengers made prior to the handover to CAL for travel on Air Jamaica flights after 1 May. Lok Jack has indicated that Caribbean Airlines expects to make an immediate return on its investment of about US$12 million to US$15 million per annum, starting in 2011. He believes that the transition period should last for three to six months. Meanwhile, Air Jamaica Limited has obtained a 60-day and 90-day temporary waiver from the United States and Canadian transportation authorities, respectively, in relation to the ownership and control standards in their bilateral arrangements with Jamaica, which will allow Air Jamaica to continue flying as the Jamaican national carrier. (FT.com): The hedge fund industry’s ongoing drift away from the Cayman Islands to onshore locations in Europe could be accelerated by impending European legislation and a recent court case in the Caribbean territory, industry figures believe. The proportion of hedge funds domiciled in the Cayman Islands has slipped from 40.1 per cent to 37.3 per cent since the end of 2008, with Ireland and Luxembourg seeing their share jump by 60 per cent to 7.3 per cent, according to figures from Hedge Fund Research. The impending passage of a controversial EU directive placing stringent restrictions on the marketing of funds domiciled outside the EU to European investors is likely to accelerate this trend. 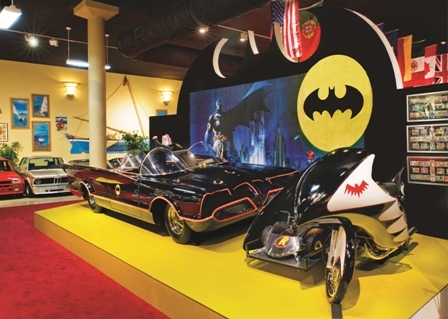 (CNS): Alongside Elton John’s Roller, Idi Amin’s Merc and the first ever car to come to Cayman, the famous Batmobile from the original TV series is now permanently on show in West Bay and a key exhibit in the Cayman Motor Museum. 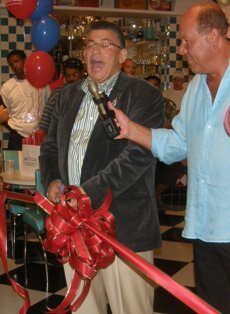 The country’s latest and one of its most unique attractions was opened on Saturday evening by the Premier McKeeva Bush, who said the owner’s investment showed confidence not just in the district but the future of the Cayman Islands. The museum is the realization of a dream by shipping magnate and vintage car collector, Andreas Ugland, who owns the collection of some 55 cars and 18 motor cycles now on show. The museum, housed in a new purpose-built structure, brings together a significant number of Ugland’s cars and is likely to attract enthusiasts from all over the world. Ugland explained that before assembling the collection in Cayman it was scattered throughout the world with many in England, Canada, and Ugland’s native Norway. At the special opening even on Saturday evening as he cut the official ribbon, Premier McKeeva Bush lauded the initiative and also marvelled at the cars, pointing out that when he was a boy in West Bay they knew about such machines but only ever dreamed of seeing them. The premier compared Cayman’s financial services to luxury cars when he said the museum was a great fit for the islands and congratulated Ugland for his commitment and passion for the project. He also noted that the investment was a boost of confidence for both West Bay and the Cayman Islands and an indication that things would get better. The museum officially opened to the public today (Monday 3 May) where people can see the diverse range of vintage, sports and luxury cars, ranging from the world’s first car to the incredible bubble cars of the 1960s. 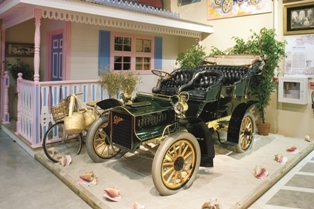 The museum provides an historical tour of motoring throughout the world as well as Cayman with an exact model of the first vehicle ever to be driven in the Cayman Islands—a 1905 Cadillac—which has a place of special prominence in the museum. Of special interest both to children (and “adult children”) is the ultimate crime-fighting vehicle, the original “Batmobile” that squired Batman and Robin around Gotham City in the 1960s television show. An exact replica of the “Batcycle” is also on display. Moviegoers will recognize the 1929 Yellow Rolls-Royce that appeared in the movie of the same name, and “royal watchers” will be attracted to the 1956 Daimler DK400, Queen Elizabeth II’s first limousine. Racing and speed aficionados will marvel at the sleek Ferraris (nearly a dozen classics, all in mint condition), Maseratis, Corvettes, and Jaguars. The museum is located on North West Point Road in West Bay – just past the Boatswain’s Beach. It is open to the public 9:00 am to 5:00 pm, Monday through Saturday. Entrance fee is CI$15; children (under 12) CI$7.50; toddlers (under 5) are free. On Saturdays, resident adults get a look for CI$10 and children CI$5. (The Royal Gazette): A partnership between community organisations and Police under the Operation Ceasefire model could do more to thwart Bermuda’s rising gun crime than the current scattered approach, according to the Opposition. Shadow Home Affairs Minister Sen. Michael Dunkley, believes the programme he is pushing would provide Bermuda with the structure needed to tackle the issue before it grows larger. Operation Ceasefire is credited with reducing gun crimes in cities across the US. First used to thwart Boston’s soaring homicide rate in the 1990s, it is a gun/violence prevention programme, which focuses on a collaboration between Police, public prosecutions and community activists. It involves identifying the gang members, rounding them up and explaining that violence will no longer be tolerated and if it continues will be met with a strong Police presence. At the same time community workers are on hand at the meeting to offer people a way out of their lifestyle.